Hey guys, i have a good news for you, are you ready to know about this ,i think this must be useful for you. 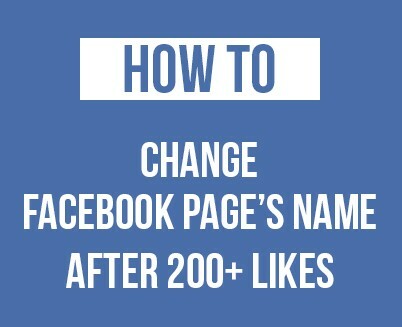 Today i am going to tell you how to Change facebook page name after 200 likes. After increasing of 200 likes we are unable to change the Facebook name. We all know that facebook is an online social networking service. Facebook is the biggest social network and many people are use to marketing their products on their Facebook page.There is a huge connection on Facebook page likes will deliver your products information to a large audience. If you have a great amount of likes on your Facebook page than you can also get advertise by some companies and earn money by facebook. Facebook has become so popular day by day. Now a days using every one. It’s become a part of every one’s life. I will tell this Facebook Trick to Change Facebook Page Name After 200 likes limit. There are two methods that you can change. Just follow the below intrusions. There are two methods to change facebook page name after 200 Likes, let’s look both. The first method is all about extension in Google chrome. This method is very simple. Make sure that to follow the below mentioned steps in the same order or else it will not work and it might negatively impact your Facebook fan Page. The First and Foremost thing is you need to operate your Google Chrome browser. Now you open your browser start by searching and installing Zen Mate extension in Google Chrome on your Laptop. After that you need to setup your email id and password in this extension. Nest step is you need to restart your google chrome browser. Just you have restarted your browser the next step is to change your location to the USA location in ZenMate. Next log-in to your Facebook account and select your page. Now follow the path as Page >> Update info >> change name/ Edit option. Facebook may take your government issued ID’s photo for security. And now submit this. Now your facebook name has changed. Second method is all about Changing proxy of your browse. One of the useful recommendations is to use a Japan proxy. Japan proxy is very fast and also secure than other.We must aware of internet connection because when connected with proxy your internet connection might become slower. Just open the Google Chrome and clicking on the settings tab. Type “proxy” on the search bar. You can also paste the following format on the address bar of Chrome “chrome://settings/search#proxy”. 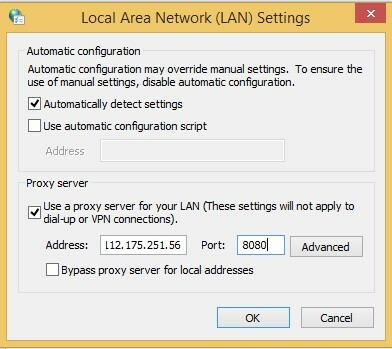 Click on the tab “Change proxy settings” this will lead to a popup called “LAN Settings“ click on this option to enter it. 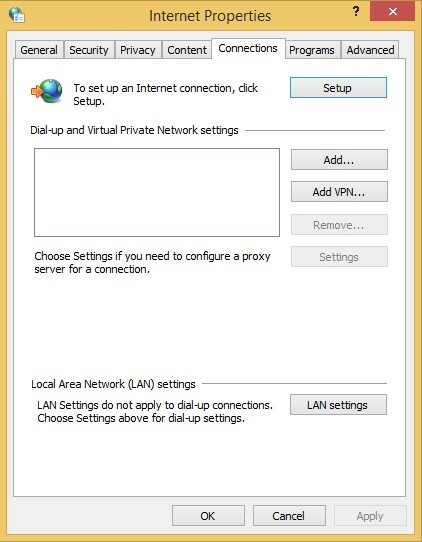 Next step is to click on “Use a proxy settings for LAN”. Use this along-with the IP “112.175.251.56” and port “8080“. Now go to your Facebook page and go to Page info. Edit page click on the option “page info”. In both the fields choose the category option and change it to “Local Business”. Also make sure to delete any other existing address that may be present, from the “Address” option, Proceed by saving this. Next step will be Translating name for the Facebook page. you need to press on the “Translated Name” tab which further displays 4 languages to choose from. You need to choose any one of the languages and type in a new name for your page, next to this language’s text box along-with the language’s symbol at the end. In case of Japanese language add the ッ symbol. For Chinese language the symbol is 人. Similarly for Korean symbol is ㅿ. Now you can select according to your choice. Change “English(US)” by that language that’s symbol you entered in page name field. Now your Facebook page name is changed. Now you can set English as your default language. Last step is if you want to delete the symbol that appears after the Page Name.It’s very easy. Just go to “Translated Name” and remove the symbol from the page name. I hope you liked the above post for how to change Facebook Page Name after 200 Likes 2016. If you enjoy it please do not forget to share with your friends this post on facebook, twitter and other social networks.